Brett”Man, what a night! That was crazy. A lot of points there within a minute or so. 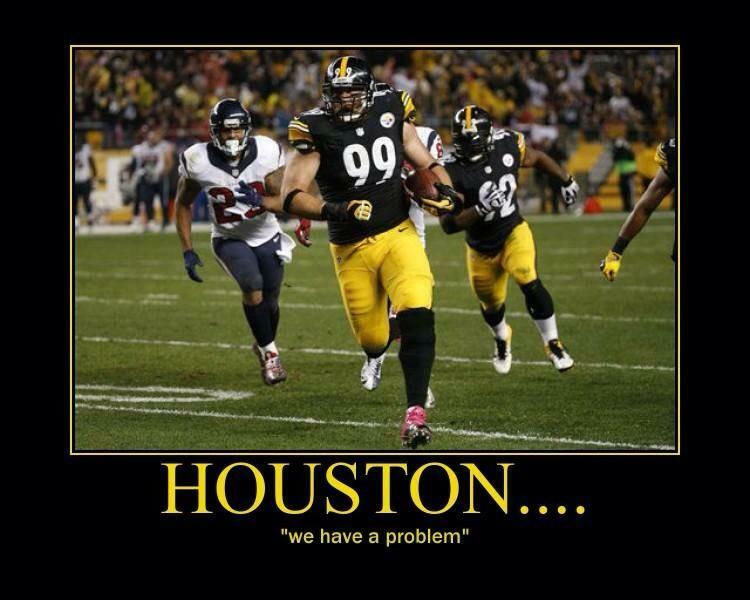 It wasn’t just getting the turnovers, the offense punched them in”, Keisel. After scoring just two touchdowns in a 10-quarter span that began in Jacksonville, the Steelers erupted for three touchdowns in a 73-second span near the end of the first half — a franchise record — thanks to two big takeaways by the defense. That allowed the Steelers to turn a 13-0 deficit into a 24-13 halftime lead. Ben Roethlisberger threw two touchdowns and Antonio Brown threw another for one of the wildest turnarounds in recent memory. Keisel talks about making an interception, the defense making plays, and about respecting beards on both teams. It was a good play for us, and the offense went out there and got 6 points, so it was a big momentum swing for us. A lot has been said about us. We stuck together as a team and worked hard this week, and did enough today to win. We got a win versus an AFC opponent and that’s good for us. We can’t just win and lose one, win and lose one. We’ve got to be able to have the same urgency after a win as we have after a loss. I told Fitz that I respect his beard. He just doesn’t quite have the moustache that I do. That’s the difference. Fitz is a tough competitor. He grows a great beard, I got a lot of respect for him. These beards that we got are beautiful…you can’t deny that. With Steve McLendon (shoulder) unavailable, defensive end Cam Thomas played nose tackle, which in turn meant that rookie Stephon Tuitt saw significant time at defensive end and rookie Daniel McCullers saw the first snaps of his NFL career on the nose. 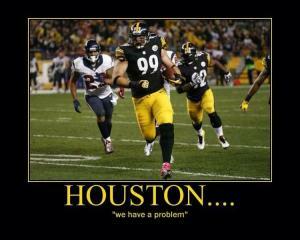 At one juncture the defensive line consisted of, from left to right, Tuitt, McCullers and veteran Brett Keisel. “Both of them are capable guys. Both of them have ability and they can be special. It’s just taking that preparation and making sure they carry it into the game.” (From Mike Prisuta, Steelers.com). Brett Keisel leads the team with 11 QB hurries/pressures this year – also has 1 INT & 3 passes defensed. For the second consecutive week, Brett Keisel made the defensive play of the week. Against Cleveland it a the hustle play that I will remember until I die. Last night it was a 5,000 to 1 shot — according to ESPN’s Sport Science — that gave the Steelers their 11-point lead. Sport Science also said of Keisel’s quick reaction after catching the pass, which he had deflected into Timmons’ helmet before it came back to Keisel, was akin to returning a 140 m.p.h. serve in tennis. Ol’ 99. We will give him the week off and see if he can get his body ready to go on a short week (laughs) but I appreciate his efforts not only on that play but throughout the night. He provides veteran and savvy leadership and perspective during the course of preparation. I’ve met Da Beard and he is a very nice person but you still have to FEAR DA BEARD! Did you guys see my man Brett Keisel tonight? He’s the man! Killing it on the field! Well that escalated quickly! Brett Keisel with the WILD interception. Brett’s interception was also listed on their top 10 plays of the week! That was a beard-on-beard crime! (Brett’s interception of fellow beardsman, Ryan Fitzpatrick. I think you can credit the facial hair of Brett Keisel. (Photo sent by Greg Parry).